(Facebook, Twitter, Instagram using the league championships hashtag. 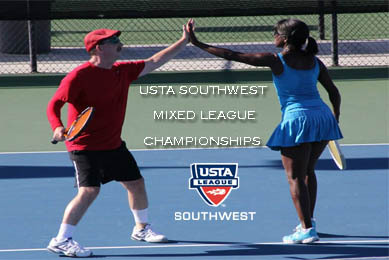 Adult and senior mixed doubles teams from across the Southwest will head to the Sun City - El Paso, Texas - October 3-5 for the 2014 USTA Southwest Mixed (18 & Over/40 & Over) Doubles League Championships. This annual league championship event brings together the top co-ed tennis mixed doubles teams from areas like Phoenix, Albuquerque, Las Cruces, Flagstaff, Tucson and of course the host city of El Paso, Texas. Three days of intense action will see the teams vying for the coveted Southwest Section League Championship crown and an automatic bid to USTA League National Championship events held later in the fall. More information and schedule information will be coming soon. 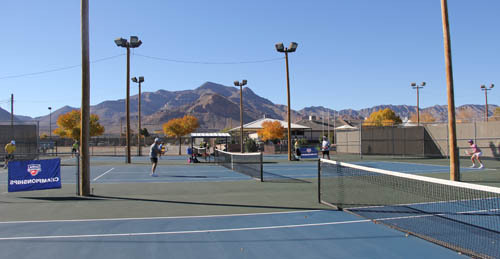 The main host site for the 2014 USTA Southwest Mixed League Section Championships is the El Paso Youth Tennis Center. The 22-court facility has played host to past League championships in every division as well as several top junior and adult tournaments. Formerly, the Ellis Tennis Center, the facility underwent a major renovation in 2011 that upgraded the courts considerably. The host hotel for this year's event is the El Paso Marriott, resort has blocked off rooms for Mixed League Section Championships players at a stellar rate of $80/night plus taxes. Online booking for the hotel can be found HERE. Players are encouraged to book their room by September 19, 2014. The hotel might not honor the rate after this time. 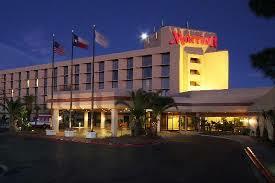 The hotel is located just a third of a mile from the airport, so it's super convenient coming in and out of El Paso. The hotel is located at 1600 Airway Blvd, El Paso, Texas 79925. The final process to team registration is held Thursday, Oct. 2 from 6-7 pm at the Salon A-D room. Final event schedules will be given out at that time, and rules and event protocol will also be discussed. Thank you to Head/Penn Racquet Sports for being the official ball sponsor of USTA Leagues. We are encouraging players to follow us on these social media accounts and to tag their photos with 'USTA Southwest'. Take tons ofphotos. We love seeing our players in action on and off the court (just keep it clean! ).